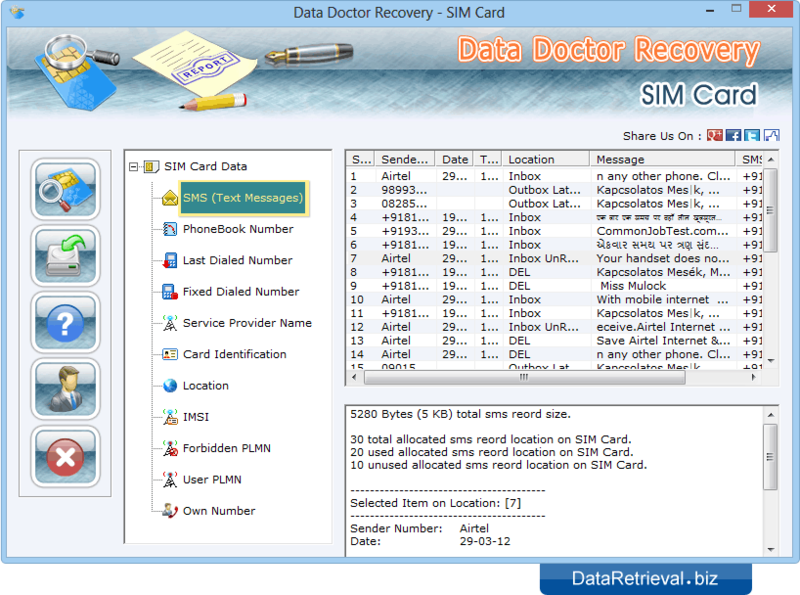 Sim Card Data Retrieval Software recover deleted text sms and provides complete backup of your Phone book saved contact numbers. 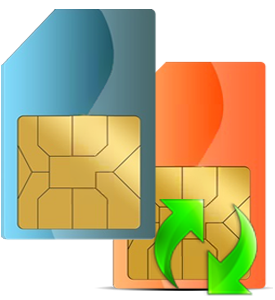 Sim card recovery program allows you to easily view and restore deleted text sms (including inbox/outbox and draft sms along with the Sender Number, Date, Time, Location, and Message) from mobile phone sim card memory. Easily recovers lost text messages (inbox/outbox) from sim card. Allows you to restore phone book saved contact numbers. View the ICC identification number printed on the sim card. Displays service provider name regardless of network location and supports Sim of any service / network provider. Successfully tested Western Digital, Maxtor, SanDisk, Toshiba, IBM etc popular hard disk brands.